Sound "Denser and somewhat more restrained than most other designs" -- "a speaker that always seems superbly poised and in control." "Pace, rhythm, and timing...considered to be the hallmark of British speakers is there in spades." "The AE1 Mk III SE is very neutrally balanced" and "the uppermost treble...(is) as smooth and refined as I could wish," though "rather forgiving of recordings that are a little too hot." "The quality of the bass that the Acoustic Energy speaker delivers is...excellent. Notes are weighty, impactful, and extremely articulate." "It never ceased to amaze me that so much sound was available from such a small package." Features "Not simply a cosmetic upgrade to the AE1 Mk III." "The midrange/bass driver is Acoustic Energy's own 4 3/8" spun-aluminum cone, which is claimed to have pure-pistonic motion. High-frequency duties are handled by a 1 1/2" ring-radiator tweeter." "The cabinet is constructed from heavily braced 3/4"-thick MDF and is lined with 1/2"-thick steel using a damping glue.... Further increasing rigidity, the front baffle is machined from a solid slab of 1/2"-thick aluminum." "Only 250 pairs will be made for worldwide distribution." Use "Given the compact size of the AE1 Mk III SE, you might think that it would give its best performance very near to the wall behind it. With the original front-ported AE1, that may have been the case, but I found the Mk III SE to sound best where most speakers sound their best in my room: with their front baffles 39" from the wall and roughly seven feet apart. I experimented with varying degrees of toe-in, and found the best combination of soundstage width and specificity to be with the tweeter axes crossing just behind the listening position." Value "At $5000 per pair, the AE1 Mk III SE is a fairly expensive two-way minimonitor, but not unreasonably so. When you consider the quality of sound, the fit'n'finish, and the exclusivity of this British-made Special Edition, the price starts to seem quite appropriate." Often when I tell acquaintances about my audio-reviewing work for SoundStage!, they make the assumption that the equipment I review is intended for the professional market. Aside from not understanding how an individual sees his way to paying many thousands of dollars for components, these acquaintances have the strange notion that audiophiles, like audio engineers, are looking for only the most accurate reproduction of recorded material. As most people familiar with the industry will attest, there is little overlap between the companies involved in home audio and those involved in pro audio. Although complete accuracy is not the goal for all audiophiles, it is for some of us. Occasionally, a pro-audio product will embody both accuracy and musical fulfillment to a sufficient degree that it breaks into the high-end domestic audio market. 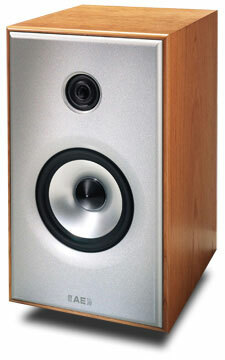 Such an example can be made of Acoustic Energy's first product, the AE1 speaker, launched in 1988. This minimonitor quickly found its way into many studios and into many homes as well. In the intervening years, Acoustic Energy has made a few revisions to the AE1, as well as greatly expanded its product offerings. The AE1 Mk III SE, the subject of this review, is the latest incarnation of the venerable AE1 -- a compact two-way monitor that strives for accuracy and musical enjoyment. Why not the AE1 Mk IV? The AE1 Mk III SE ($5000 USD per pair) is not simply a cosmetic upgrade to the AE1 Mk III, so why not just call it the Mk IV? The Mk III SE is not intended to make the Mk III obsolete. It is an altogether higher-end offering in a different price class. It still reflects the design priorities of the AE1, and anyone who's read a book on marketing can tell you that there is significant value in retaining the iconic AE1 model designation for this flagship offering. The "Special Edition" is so named for being a limited-production model. Only 250 pairs will be made for worldwide distribution. Whilst for Acoustic Energy that number may be limited production, it doesn't really endow a speaker with exclusivity in a market where some companies don't make that many speakers in the total time that they're in business. The rear-ported AE1 Mk III SE measures an exceptionally compact 12 1/4"H x 7 3/8"W x 9 3/4"D and weighs a hefty 25 pounds. The cabinet is constructed from heavily braced 3/4"-thick MDF and is lined with 1/2"-thick steel using a damping glue. This construction not only accounts for the astonishing weight of such a diminutive speaker but also makes it among the most inert cabinets against which I've painfully wrapped my knuckles. Further increasing rigidity, the front baffle is machined from a solid slab of 1/2"-thick aluminum. This solid baffle provides an excellent surface upon which to mount the drivers. The combination of high-gloss piano-black cabinet and aluminum baffle also makes for stunning modern looks. The midrange/bass driver is Acoustic Energy's own 4 3/8" spun-aluminum cone, which is claimed to have pure-pistonic motion. High-frequency duties are handled by a 1 1/2" ring-radiator tweeter. The midrange/bass driver is crossed over to the tweeter at 2kHz with a second-order slope. Together, these drivers cover the frequency range from 45Hz to 40kHz -- greater extension both higher and lower than the non-SE AE1 Mk III. In the SE version, Acoustic Energy has reduced the parts count of the crossover from thirteen to six, resulting in a shorter signal path, and used various boutique brands. The speaker has a nominal impedance of 8 ohms and a moderate sensitivity of 87dB -- suggesting that it will be suitable for most amplifier designs. Connections to the speakers are made by way of a single-pair of gold-plated WBT binding posts, which I found well suited to my spade-terminated speaker cables. Given the compact size of the AE1 Mk III SE, you might think that it would give its best performance very near to the wall behind it. With the original front-ported AE1, that may have been the case, but I found the Mk III SE to sound best where most speakers sound their best in my room: with their front baffles 39" from the wall and roughly seven feet apart. I experimented with varying degrees of toe-in, and found the best combination of soundstage width and specificity to be with the tweeter axes crossing just behind the listening position. I wouldn't characterize the AE1 Mk III SE as being a difficult speaker to place, but, as with most high-quality transducers, care in setup is necessary for them to give their absolute best. Each speaker was placed atop my customary 30" Plateau stands -- coupled to the stands with a few blobs of Blu-Tack. I connected the speakers to my Graaf GM-50 integrated amplifier with eight-foot runs of DH Labs Q-10 speaker cable. The AE1 Mk III SE sounded markedly different from most other speakers in my auditory memory. Its sound was denser and somewhat more restrained than that of most other designs. By "restrained," I don't mean that the speaker was stuffy or overdamped, but it pointed that way rather than having an open, more ethereal presentation. This perception continued even after hundreds of hours of break-in. Whether or not that character is your cup of tea, it results in a speaker that always seems superbly poised and in control. Perhaps it is the exceptionally solid construction of the AE1 Mk III SE that gives the speakers such control -- both reducing cabinet resonances and providing a solid foundation for the drivers. I generally try not to infer anything about the sound of a speaker from the country in which it was designed, but in the case of the AE1, the famous PRaT -- pace, rhythm, and timing-- that is considered to be the hallmark of British speakers is there in spades. Listening to any music with a driving beat -- whether it's The Kinks Low Budget LP (Velvel Records VEL-SC-79817) or the funky groove of "Swamped" on Matt Chamberlain and Bill Frisell's Floratone CD (Blue Note 0946 3 93879 2) -- the AE1 Mk III SE maintained the energy and forward momentum of the music in a way that was addictive. Timing is one of the crucial elements of music -- any music. So, while the benefits weren't always quite so obvious, the superb timing of the AE1 brought life into recordings from all genres. If you haven't heard the way in which a good bassist in a jazz combo can play around with the precise location of the beat, then you need to listen to any great small-ensemble jazz recording through the AE1 Mk III SE. Most other speakers just can't place notes, especially bass notes, that precisely. While the small midrange/bass driver and compact cabinet of the AE1 Mk III SE contribute to its exceptional timing and rhythmic accuracy, they do come at a price. One thing you give up is bass extension. No two-way minimonitor has truly deep bass, of course, but the low-end extension of the AE1 Mk III SE falls short of many other two-ways'. Though it is rated to 45Hz, I found the speaker to convey less bass information than either the Esoteric MG-10 (rated to 41Hz) or the Amphion Argon2 (rated to 40Hz). Both of those designs are somewhat larger than the AE1 Mk III SE, but I can imagine very few listening rooms that would accommodate only the smaller speaker. The quality of the bass that the Acoustic Energy speaker delivers is, however, excellent. Notes are weighty, impactful, and extremely articulate. 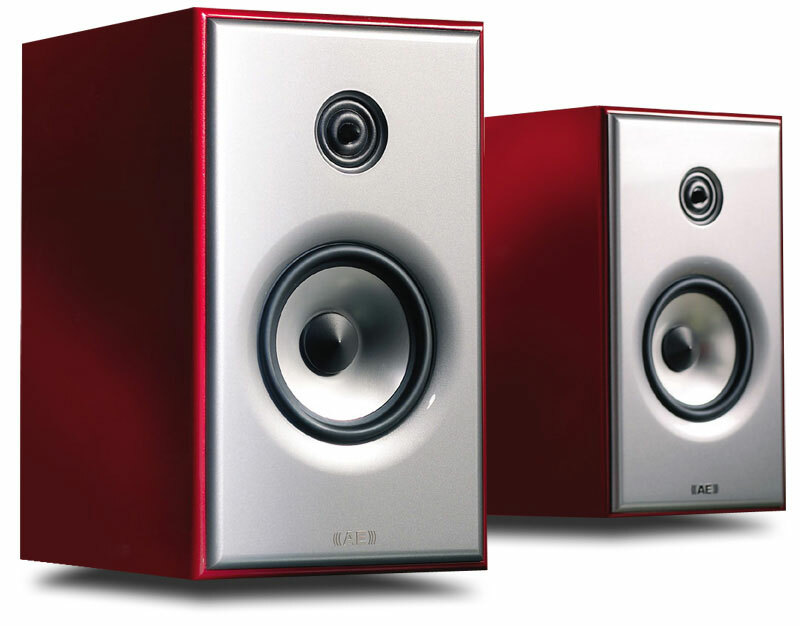 If you have a very small room that cannot handle much bass, the AE1 Mk III SE may be a good choice. Alternatively, if you find yourself smitten by its other virtues, this speaker may be a good candidate for careful pairing with a high-quality subwoofer. Loudspeakers  Amphion Argon2, Esoteric MG-10. Integrated amplifier  Graaf GM-50. Digital  Ayre Acoustics C-5xe universal audio player. Analog  Michell TecnoDec with modified Rega RB-300 tonearm and Shure V-15X cartridge, Trigon Audio Vanguard phono stage with Volcano power supply. Interconnects  QED Silver Spiral, JPS Labs Superconductor, AudioQuest Sidewinder, DH Labs Revelation. Speaker cables  DH Labs Q-10. Power conditioner  Equi=tech Son of Q. The other customary drawback of small speakers is dynamic range. Ultimately, like so many of its brethren, the AE1 Mk III SE is somewhat limited in this respect as well, but the engineers at Acoustic Energy have still been able to coax an extremely dynamic sound out of a small box. Yes, I'll explain. This speaker seems to compress the sound evenly across its entire volume range. To explain further, when a musical line gets louder, it doesn't change quite as much as it ought to, but the change is even. Some small speakers can sound dynamic at low volumes, but they saturate at higher ones. The AE1 Mk III SE doesn't do that, so its compression is only noticeable when directly compared to other larger speakers. The recording that has become my standard test for dynamics, the Sibelius Violin Concerto CD (BIS 300500), helped me to reach this conclusion about the speaker's sound. Shortly into the first-movement cadenza, there is a crescendo from the brass section that comes out of nowhere and reaches fortissimo. This crescendo should sound linear, and through the AE1 Mk III SE it does. Tonally, the AE1 Mk III SE is very neutrally balanced. Sometimes when a small speaker lacks low bass, the designers will augment the midbass to give the impression that the speaker plays lower than it actually does. If there is such a hump in the AE1 Mk III SE's midbass, it is very slight and only enough to keep the speaker from sounding lean. Male vocals -- such as the track "So Do I" from Christy Moore's This is the Day CD (Sony 503255.2) -- sound full and rich without developing any excessive chestiness. Female vocals are equally well served. The AE1 appropriately conveyed the difference between Alison Krauss's voice on the Alison Krauss + Union Station Live CD (Rounder 11661-0515-2) and her much earlier work on Now That I've Found You (Rounder 11661-0325-6). If you want a little added sweetness in the midrange, you'll have to look elsewhere, but the AE1 will convey the honest beauty of a recording to its full measure. Moving up the frequency spectrum, I found the uppermost treble of the AE1 Mk III SE to be as smooth and refined as I could wish. It is also ever so slightly toned down compared to a ruler-flat frequency response. These two characteristics make the AE1 Mk III SE rather forgiving of recordings that are a little too hot. It is not forgiving of truly strident recordings -- only a dramatic roll-off in the top octave can help with those -- but they can make some marginal recordings a pleasure to hear. You can't have anything for free, and this forgiving nature does come at the expense of a little air and sparkle. Whether that's a trade-off that you're willing to make will be highly dependent upon the recordings to which you typically listen. Very much related to high-frequency performance -- though not only to the very highest frequencies -- is the way in which a speaker conveys the harmonic texture of instruments. On well-recorded orchestral discs, such as the 3 Concertos for a New Century CD with The Royal Concertgebouw Orchestra (NorthWest Classics NWC-109206), the AE1 Mk III SE rendered instruments in a natural and believable manner. Not only did woodwinds sound like woodwinds and strings like strings, but I could make out differences between, for example, the sound of two different clarinets. A more faithful reproduction of instrumental timbre is possible, and I have heard it from some other speakers -- notably the Esoteric MG-10 -- but make no mistake that what the AE1 Mk III SE offers is considerably better than most speakers in this regard without respect to price. Above, I referred to some of the limitations of all minimonitors, but this type of speaker also has some significant advantages over larger designs. The smaller a speaker gets, the closer it comes to approximating a point-source -- the ideal transducer for producing precise imaging. The AE1 Mk III SE's compact size helps it to cast a soundstage that is both wide and deep. In my room, the left-to-right spread extended just beyond the speakers. In depth, the soundstage was multi-layered and its back was several feet behind the front wall. As for specificity, instruments and performers occupied discrete, almost tangible positions in the two-dimensional soundscape. The AE1 Mk III SE is not quite holographic enough to transport me to the recording venue, but it does convey the difference between venues of different sizes and characters. While some speakers may throw wider or deeper stages, I find that the combination of good dimensions and specificity is more satisfying and involving than excellence in only one realm or the other. The AE1 has both and in the proper proportions to satisfy most discerning listeners. Thus far, I have tried to describe the AE1 Mk III SE's sound without relying too heavily on comparisons. Since we have no idea what sound exists on a particular source without listening to it through some transducer, it would be more accurate to say that I have tried to evaluate the AE1 Mk III SE's performance with respect to what I believe to be on a particular disc when averaged across all of the speaker designs through which I've heard it. The specific virtues and vices of the Acoustic Energy speakers can more easily be expressed as contrasts between it and a similarly priced speaker, such as my current reference, the Esoteric MG-10, which cost $6000 per pair when reviewed. It has since been reduced to an even more attractive $3000 per pair, thanks to increased production volume and amortization of research expenses. Both the MG-10 and AE1 Mk III SE are two-way compact monitors. The cabinet volume of the Acoustic Energy speaker is somewhat smaller than that of the Esoteric, as is its driver-radiating area. With respect to bass performance, one would expect these two characteristics to put the AE1 Mk III SE at a significant disadvantage. The MG-10 extends perceptibly lower than does the AE1 Mk III SE and delivers bass in somewhat greater quantity as well. The articulation of bass notes is comparable between the two speakers, but the Acoustic Energy speaker seems ever so slightly more taut. Both speakers can follow the pitch of bass instruments -- not merely producing random lower-frequency energy -- but the MG-10 allows more of the timbre of individual instruments and notes to come through than does the AE1 Mk III SE. Both designs offer respectable bass performance for such small packages, but I have to give the nod to the MG-10. Both speakers are capable, given the right recordings, of throwing soundstages that are expansive and precise. The MG-10s cast an image that is a little wider and deeper than that of the AE1 MK III SEs. Image specificity is a little more complicated to explain. I've heard few speakers that can rival the MG-10s in creating a holographic sonic image. What I mean is an image that is coherent in almost three dimensions (no pair of loudspeakers that I've heard really does height convincingly) -- a soundstage into which you feel you can walk. That is not quite the same thing as the laser-etched precision that the Acoustic Energy AE1 Mk III SEs approach. With either set of speakers, I can easily point to a sound source in the sonic landscape. The Acoustic Energy speakers draw the boundaries of each source more sharply than do the MG-10s, but the MG-10s better convey the spaces between them as containing air rather than being an empty void. The greatest difference between these two high-performance minimonitors is the character of their sound. Both designs seem timbrally neutral to me, yet they do sound different. The Esoteric speakers are open and airy, while the Acoustic Energy speakers are a bit more solid and compact. The MG-10s have a little more sparkle in the highs, while the AE1s are a little softer. Which speaker is the better fit for you will depend on your partnering equipment, the recordings to which you listen and your tastes. For the audiophile who wants an honest-sounding speaker with plenty of resolving power, either design will do, but one will probably be preferred over the other. The Acoustic Energy AE1 Mk III SE is a superbly engineered and beautifully built speaker that embodies all of the virtues for which one might choose a minimonitor: precise timing, excellent soundstaging, and a truly neutral and coherent tonality. While it also exhibits some of the vices of all small speakers, it does so to a lesser degree than many other similarly sized designs. Its bass isn't deep, but it's deep enough. It doesn't have an astounding dynamic range, but it can fool you into thinking that it does. While I haven't made a big deal of the AE1 Mk III's extremely compact dimensions, it never ceased to amaze me that so much sound was available from such a small package. At $5000 per pair, the AE1 Mk III SE is a fairly expensive two-way minimonitor, but not unreasonably so. When you consider the quality of sound, the fit'n'finish, and the exclusivity of this British-made Special Edition, the price starts to seem quite appropriate. If you listen to these speakers and they bring you musical enjoyment, then who could say they're not worth every penny? Just go out and hear them for yourself before they're all gone. Acoustic Energy North America, Inc.